Edition: First Edition - may be Reissue. Founder of the legendary Memphis design movement, the gifted Italian designer Ettore Sottsass is internationally renowned for his contribution to almost every area of modern design. Architecture, furniture, photography, graphic design, jewelry, and other crafts have all come under his influence, and his own work in each of these areas is unparalleled in its dynamism and technical mastery. 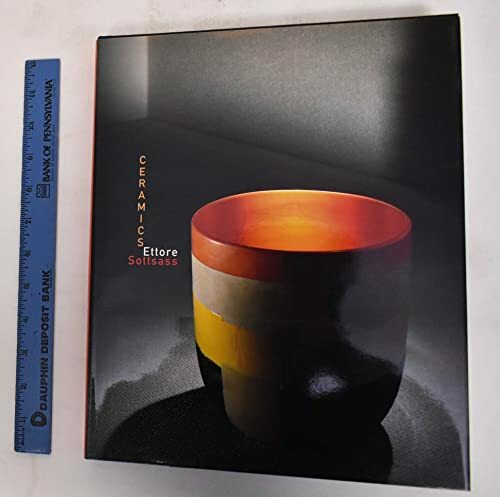 Written by Sottsass himself, this book focuses on his inspired ceramics created between 1956 and the present day. More than 100 superb color plates bring to life a diverse and expansive collection of objects - many of them one-of-a-kind - that are decorative and functional, imaginative and innovative, colorful and visually exciting.